Select Raman scattering and modulated differential scanning calorimetry (DSC) experiments on specially homogenized binary GexSe100–x and GexS100–x chalcogenide glasses, supported by ab initio MD simulations are undertaken. In both chalcogenides, the glasses exhibit a super‐strong behavior (with a melt fragility index, m(x) < 20) in the 20(1)% < x < 26(1)% composition range, defining the fragility window, and with m(x) > 20 as one goes away from the fragility window. 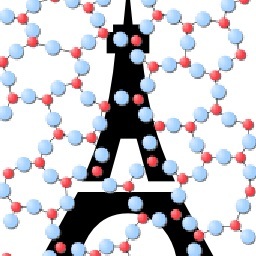 Remarkably, molecular dynamics (MD) simulations confirm the existence of the fragility window. Furthermore, in both chalcogenide glasses, the enthalpy of relaxation at Tg, ΔHnr(x), becomes minuscule (≈0) in the 20(1)% < x < 26(1)% range, defining the reversibility window, and with ΔHnr(x) increasing by an order magnitude abruptly with x outside that window. 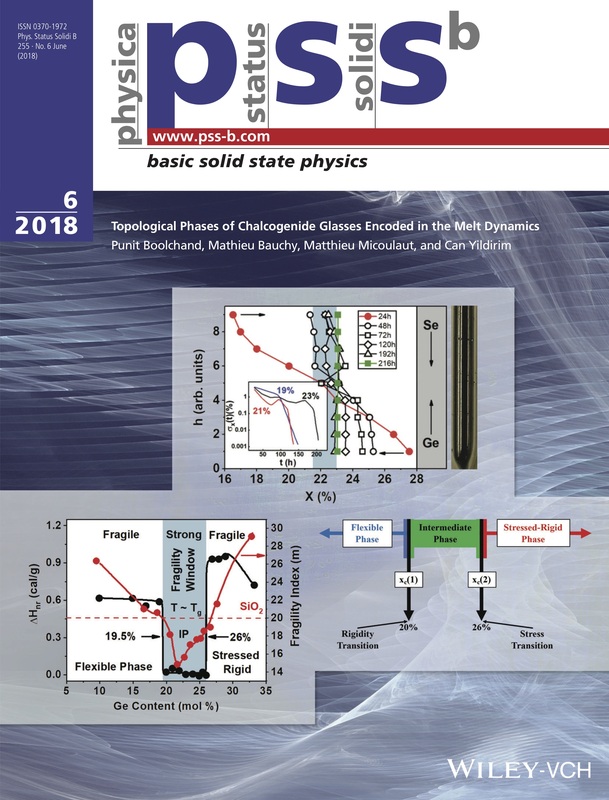 Thus, super‐strong melts formed in the fragility window give rise to isostatically rigid glasses in the reversibility window and fragile melts formed at x < 20(1)% and at x > 26(1)% give rise to flexible‐ and stressed‐rigid glasses, respectively. Melt dynamics for the examined glass systems unequivocally encode the nature of the glass topological phases.